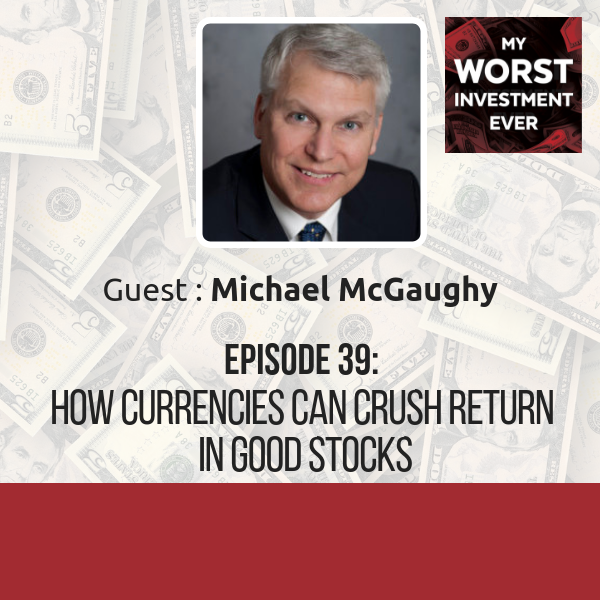 In it I discuss how my overconfidence, after successfully investing in Greece and other places, led to me to lose money in Ukraine because I was not patient enough. Andrew kindly created the following artwork. Many thanks to him and his team for doing such a professional job. My personal investing was going well so I decided to start a fund to help others – and myself - grow their wealth. After about 15 months since making our first investment, my key take-away is that if you like research and investing, don't start a fund. The reason for stating this is that since starting, I’ve spent a disproportionate amount of time, energy and money on paperwork. While I knew there would be lots of administrative tasks in managing other people’s money, I never knew that it would be so time consuming, expensive and banal. Most of this shuffling is due to the increase in the ‘compliance’ function. In finance and other industries compliance means the function and effort that goes into keeping within all the laws, rules and regulations for a particular financial asset. Most of these concern securities that are listed on public exchanges such as stock, bond or commodity markets. There were already many disclosure rules before the 2008/09 "global financial crisis". However these increased substantially afterwards, not only in developed markets, but around the world. In fact I get the impression that many emerging market regulators imposed even more draconian rules in an effort to be seen to be more upright and upstanding then many developed markets. Most compliance is meant to cut down on money-laundering and centers on banks knowing their client (KYC), and making sure their clients’ funds were lawfully gained so the bank is not laundering money. There are a substantial number of rules and laws that make it illegal to help make dirty money clean. These are known as anti-money laundering laws (AML). KYC and AML are noble endeavours and something I support. However I do wonder if they’re working and if the document shuffle that accompanies these has gone too far. Compliance is so onerous that several contacts who’ve been operating independent funds for much longer than I are thinking of closing their funds and just managing their own money. This could be a smart move on the manager’s part. But not for their clients who will lose access to talented managers who are more interested in higher returns rather than gathering more funds to manage. Just as smaller companies tend to outperform larger ones, newer smaller fund managers tend to do better than older larger ones (see here and here). Expensive and Time Consuming. Much of the time and expense revolves around proving that the person investing in a fund or opening a bank or brokerage account is who they say they are. Not only is this is done through numerous identification, address proofs and other documents on each of a fund’s investors, it is also necessary for all parties connected with the fund (brokers, custodians, lawyers, regulatory agencies, etc.) to provide similar documentation. Not only are these collected, but copies or the original must be ‘certified true copies’ meaning that a notary, accountant, lawyer or other designated person has seen the original and the copy is an actual copy of the original. This can be expensive and time consuming as notaries in Hong Kong charge about USD100 per document which means that the 20+ documents needed to open a brokerage account cost almost as much as I spend on research trips. Ultimately, it’s the end investor that pays for this. Regulation favors the incumbents. The cost and time spent on compliance are mostly the same regardless of fund size. For a large fund, USD2,000 in notary fess is chump-change. But for our fund these costs add up. This is a barrier to entry for new, smaller managers. Many smaller companies are off the radar for big funds as even an out-of-the-park return on a USD50m company will barely move the needle for a USD20b fund. Discourages shared interests. All this compliance seems to be turning people away from investing. On a recent 10-day trip to Istanbul only 2 out of the 61 people I met directly owned stocks. And these are all people who are involved in the investment process. This is a big switch from earlier when brokers and corporate professionals would have skin-in-the-game by investing in the companies they were recommending. When asked, most people said that there was too much paper work and/or too many restrictions as to when they can buy and sell. In travels to other places it’s been about the same. It’s hard to find analysts and brokers who invest in the companies and products they recommend. Much of the industry essentially does not have any skin-in-the-game, a concept so important to one of the better-known market philosophers that he wrote a book about it (see here). Here to stay. In fact, 'compliance' is now a profession. So much so that the other day I received an unsolicited email from the "International Compliance Training Academy", to sign up for their "ICA International Diploma" which is awarded in conjunction with the "Alliance Manchester Business School, The University of Manchester". It's also likely the fastest growing subset in finance with demand exceeding supply (see here). With all these people spending time and money to learn about compliance, I’m pretty certain of two things. Firstly, that compliance will remain and secondly that the rules, regulations and procedures will increase. With so many going into the field, they will find new ways and methods to make it more effective (i.e. cumbersome). Is it helping? I’m not sure that all this paper shuffling is helping or if it ever will. People are smart, and as soon as one roadblock is put up someone will find a way around it. Instead of using banks and other financial firms much of the action seems to have moved to the digital world. What appears to be a legitimate website for most of us becomes a money laundering platform for the more ambitious. ISIS was reported to have used eBay to move money, and other seemingly innocuous sites such as AirBnb, WhatsApp, PayPal, Uber, Amazon and other tech companies’ platforms have also been abused (see here and here). Even this may pale alongside what’s taking place with bitcoin and other cryptocurrencies (see here). The most damning statistic comes from those who should know. Europol estimates that 98.9% of estimated criminal profits were not confiscated between 2010 and 2014 (see here). Even Harvard Business Review notes that most compliance programs fail (see here). Over the Hump? Hopefully the worst is past. Our fund is on several broker platforms and operationally things seem to be running smoothly. We know how to fill out ‘onboarding’ forms and can collect information from our directors and clients without taking too much of their time. We’ve found some inexpensive and efficient solutions that should save us some time, money and energy when opening new accounts. However, I wonder when this could all flare up again. What will it take for more rules and regulations to be piled on top of the ones we already have? Will the cost, time and focus of filing forms eat into our research effort and hinder performance? The big banks and funds can pay for it, but what about the small, innovative and dynamic firms? This is a good situation for lawyers, notaries and accountants who are the new middlemen. Before deregulation and technology it was the brokers who got in the way and made money from being in the middle. Technology moves us two steps forward. Governments and regulations move us one to three steps back. 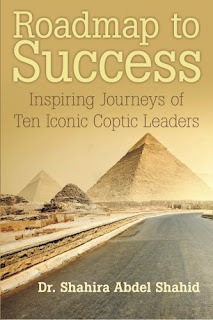 Book Review - "Roadmap to Success – Inspiring Journeys of Ten Iconic Coptic Leaders"
In my research and investing I stress three things: people, structure, and value. I look for companies that are controlled and managed by quality people, have corporate structures that align minority and majority shareholder interests and trade at valuations that are below fair value if not outright cheap. This post is about people - successful Egyptians who happen to be Christian. I never gave the Coptic Christians much thought. To be honest the only reason I became interested in the book is because there is so little information on modern Egypt. There are tons of books on ancient Egypt, the pharaohs and mummification, but virtually zilch on the second largest country in Africa, one of the largest in the Mediterranean, and the largest in the Middle East. With over 95 million Egyptians, an active press and smart switched-on people, there’s a lot going on there that doesn’t make it into English. Luckily Dr. Shahira Abdel Shahid wrote, "Roadmap to Success – Inspiring Journeys of Ten Iconic Coptic Leaders". Its title pretty much summarizes the book. The focus on Copts provides a decent cross section of successful Egyptians. As an added bonus, the author is a long-time adviser to the Egyptian Stock Exchange which likely gives her access and respectability to interview business leaders. Six of the ten interviews are with people in the private sector. Investors in Egypt will recognize several interviewees, with two being C-level leaders at listed companies - Reem Asaad at Raya Holdings and Maged Shawky at Beltone Holdings. My key negative comment is that there's no index. There's a lot of valuable information and insight here, but it's hard to find after the first read. Like other book reviews for this blog, I’ve tried to summarize some of the key points below through quotes taken from the book. However, I had a tough time whittling down the good stuff as I could have copied and pasted much more, and I strongly encourage people to buy and read the book. My thanks to Dr. Shahid for writing it. In my research and investing I stress three things: people, structure, and value. I look for companies that are controlled and managed by quality people, have corporate structures that align minority and majority shareholder interests and trade at valuations that are below fair value if not outright cheap. This post is about anti-corruption campaigns underway in many developing countries and the counter-intuitive evidence that corrupt countries may have higher returns. Ultimately, it’s about people. There are anti-corruption movements in several countries. My impression is that their effectiveness has increased in the last several years. China and several in South America seem to be the most active. Below is a list I’ve compiled over the last several months. There’s probably a lot more going on that I haven’t come across, so please add additional insight in the comment section below. Brazil, Latin America and others. Revelations of long-term government corruption has riveted Brazil in the last few years. Two corporate giants have been in the limelight - Petrobras and Odebrecht. Corruption linked with these have led to the downfall of one Brazilian president, other politicians and many corporate leaders in Brazil and elsewhere. Odebrecht’s under-the-table payments allegedly occurred in 12 South American and African countries (see here and here). (In what looks to be a good example of confusing size with quality, in 2010 Switzerland’s highest ranked business school, IMD, gave Odebrecht its Global Family Business Award. See here). Peru. The Odebrecht scandal led to large scale anti-corruption protests and action. Three former Presidents, eight ministers and other officials were implicated for suspicion of illegal dealing with Brazilian construction companies (see here). El Salvador. Last year, El Salvador’s former President Elias Antonia Saca and six others were arrested after being accused of corruption and money laundering (see here). Romania. In 2016, almost 1,300 officials were put on trial for corruption charges. This included 3 ministers, 17 lawmakers, 16 magistrates and 20 state-owned company officials. In February this year, an estimated 500k Romanians protested against weakening the country’s tough anti-corruption laws. These were Romania's largest protests since the fall of communism in 1989. The country’s ruling coalition wanted to decriminalize abuse by public officials if the sum was less than ~USD50k (see here and here). Ukraine. Officials arrested more than 20 former tax officials in what has been described as that country’s biggest-ever corruption crackdown (see here). Kazakhstan. Earlier this year ex-National Economy Minister Kuandyk Bishimbayev was arrested for taking bribes. Several other high-ranking officials were also sacked and arrested on charges of corruption (see here and here). Nigeria. The country elected President Buhari in 2015 on an anti-corruption platform and it’s been reported that USD9.1b has been recovered (see here). Another report noted that over US$160m was uncovered in just one week including USD9m from a former head of the state-owned oil company (see here). Part of this appears to be due to Nigeria’s new whistle-blowing policy (see here). Nigerians complain that not enough is being done, and that details of the recovered funds and people arrested are thin. China. Last and most importantly China has reinvigorated its anti-corruption efforts in a wide-spread and sustained campaign. It’s notable by targeting both incumbent and former national-level leaders that were previously considered untouchable. This includes a Politburo Standing Committee member as well as former high-ranking military leaders. In contrast, just as corruption and transparency seem to be improving in many emerging countries, the world’s largest developed one seems to be backtracking. In February this year, President Trump signed a resolution to roll back the rule that forces US energy companies to disclose payments to foreign governments (see here). The US President has also not released his tax returns as has been customary and his family appears to be using their connection to the President to further their business interests (see here and here). Additionally, both the President and Wilbur Ross, the US Treasury Secretary, continue to own assets and businesses that could present serious conflicts of interest (see here). Except for the small corrupt minority garnishing cash for little value-add, the vast majority of us don’t like corruption. However at least one study shows that equity returns are higher in countries that have high levels of corruption. The authors of the very excellent 2015 Global Investment Returns Yearbook note that, “Realized returns were higher for equity investments in jurisdictions that were more likely to be characterized by corrupt behaviors.” In their short study, they found that the average returns of countries where corruption was low, “were between 5.3% and 7.7%. In contrast, the markets with poor control of corruption had an average return of 11.0%.” (The corruption ranking used in the study is based on the World Bank’s Control of Corruption Index (source data and cool interactive graphics and charts are here). In other words, countries that are considered more corrupt had returns that were between 3.3 to 5.7 percentage points per annum higher than those that are considered less corrupt. An annual 5.7 percentage point difference is huge. At 5.3% - the low return for non-corrupt countries - an investor doubles their money every 12.6 years. At 11% - the return of the corrupt ones – an investor doubles their money in a little more than half the time – 6.5 years. (To be fair the authors go on to note that, “Because the interval we study is short, our results may simply reflect a period when emerging markets outperformed.” (The study can be found here). People are shocked when I tell them about my investments in countries such as Russia, Jamaica, and Egypt. One of their first comments is that they’d never invest in such countries because the corruption levels are too high. Flip this argument on its head and a Pollyanna like myself sees an additional reason to invest. Most investors are pricing in the current corrupt environment. But what if the environment improves? Rick perception decreases and more people and institutions should theoretically invest over time. This may push up asset prices. Two markets that I’ve been following on and off for a long time – Indonesia and Pakistan - fit this narrative. Both countries’ headline indexes have performed well and corruption - as measured by the same World Bank Index used in the study cited above – has decreased over the last twenty years. (I’ve written about Indonesia in several other blogs - see here, here and here. I’ve not written about Pakistan but should at some point). Pakistan has done the best. Its headline equity index, the KSE100, rose 18x in USD terms between 1998 and today, a CAGR of almost 18%. Over roughly the same period its rank rose from being in the 16th percentile of most corrupt countries to the 24th (a lower score indicates a higher level of corruption. CAGR stands for compound annual growth rate. More information and formula is here). Likewise in Indonesia. Over the same period of time Indonesia’s JSX rose by 13x, a CAGR of about 16%. It's corruption rank rose from being in the 10th percentile to merely being in the bottom 40%. Returns in both markets were higher than the developed US and developing China. Over the same period the US’ S&P500 index increased by 1.2x, for a CAGR of about 4%, and China’s headline Shanghai Composite index grew by 1.7x for a CAGR of about 6%. The lower returns for China and the US were accompanied by not very dramatic changes to the World Bank’s Corruption rank. China’s corruption level increased in the late 2000s, before improving again to about the same level as it was in 1998. The level in the US has not changed much. But 1998 was the depth of the Asian fiscal crisis. Asian stocks and currencies were at a low point, so starting there is not really fair. However, even the US’s rapid 2.5x rise in its headline index since the depths of the US/global financial crisis is lower than Pakistan and Indonesia during the same time period (see below for some rough and rounded figures). I’m not a fan of corruption. I’d be clueless in trying to pay-off a local policeman to look the other way for a minor driving misdemeanor or in a bid to get preferential treatment at the border. And not looking like or being a local in many of the countries I invest in usually means I’m not asked for ‘donations’. A country’s corruption level does not deter me. I never really considered it as virtually everyplace I have researched and invested is considered to have high corruption levels. In fact, after doing the slapdash research for this post, I think that corruption levels could be an interesting metric to track. I suspect it will be backwards looking. By the time statistics show a clear trend of decreasing corruption, equity prices will have already factored this in. How can I try to ascertain real changes that will lead to decreasing corruption? This ultimately leads back to my core research and investment parameter – people. Specifically, who’s the person or people in charge of tackling corruption and are they up to the task? Is it being broadly supported or an afterthought? Is it a genuine, far-reaching and on-going process that is genuinely backed by those in power, or a public relations stunt to get more votes or placate protesters? Ultimately, I look for companies run by good people. Good and bad people can be found all over. The very admirable Soeyadjaya family made bank depositors whole when Indonesia was perhaps at its most corrupt. Dickheads like Bernie Madoff and Bernie Ebbers can and do exist in counties that are considered clean.